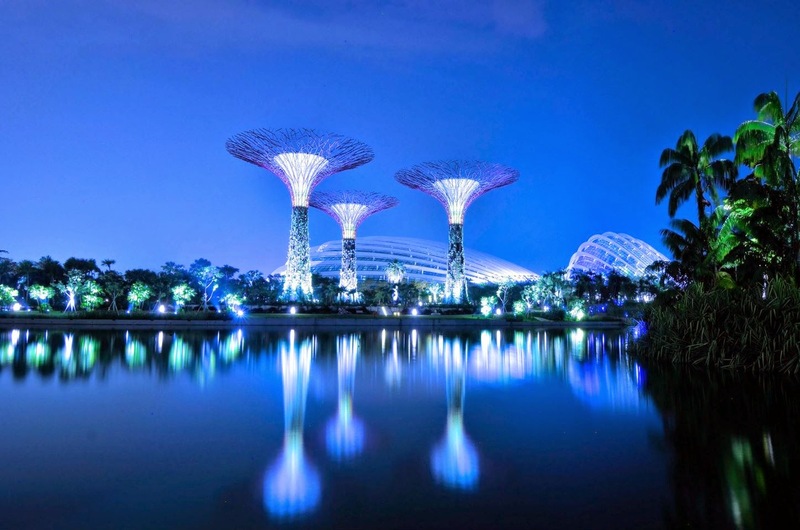 The Gardens by the Bay in Singapore is one of the most beautiful places that you can visit. It is full of flora spectacle where you can really feel you are one with nature. 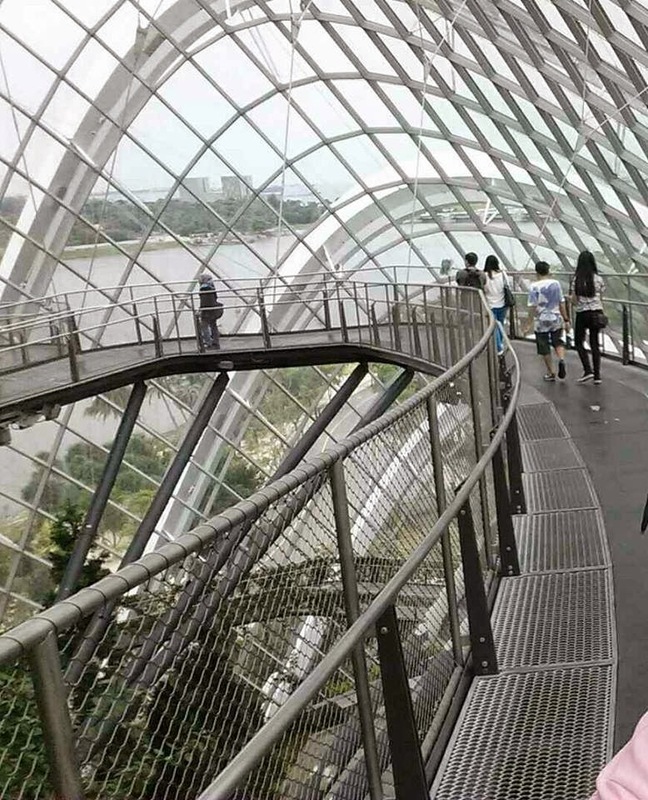 So when I went to Singapore last week, I decided to visit the Gardens by the Bay and see nature’s finest in my own two eyes. What to expect when you visit this place? These giant unique tree-like landmarks are up to 16 storeys high. It can be found around the entire Gardens by the Bay. Some are clustered with large canopies providing shade during daytime. There are more than 200 species of plants and flowers that covers the Super tree. If you visit it during nighttime, you will magically see it come to life with a joyous display of light and music – a vision of beauty and luminance. This part of the Gardens by the Bay is where you can find beautiful and unique plants and flowers. The dome-like building is made of glass panels, including the roof, but with air condition temperature. You can still feel the rays of the sun from the outside, but it feels cold inside. 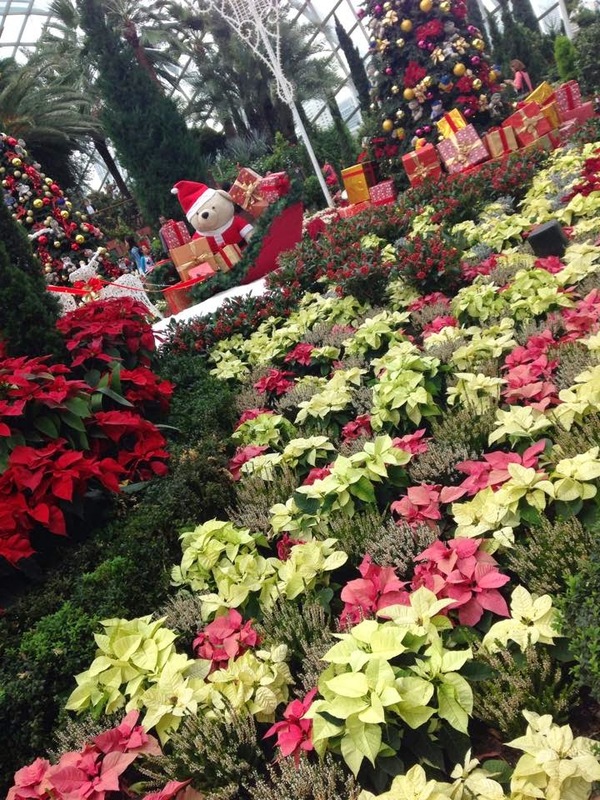 This December, the entire Flower Dome is transformed into a winter wonderland theme for the coming Christmas season. The entire dome is filled with flowers and displays with the Yuletide motif. 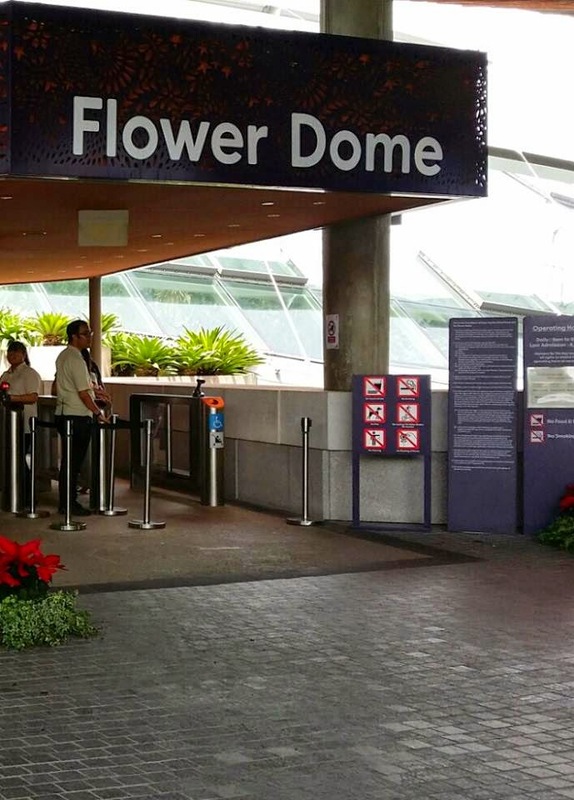 If you want to see the Flower Dome, it is open from 9:00 am to 10:00 pm daily. The standard admission as of this writing is $28 for adults and $15 for children ages 3- 12 years old. Stroll into a concrete jungle in the Cloud Forest. A big waterfall greets you as you enter so expect that you will feel the mist of the water. These domes are also cold like the Flower Dome, but due to the additional mist of the waterfall, expect that this place is way much colder. Pretty flowers and plants can be found almost all over the dome. It is 35 meters in height and it is divided into different levels. I went up to the Lost World first which is the highest level and walked in the Cloud Walkway going down. 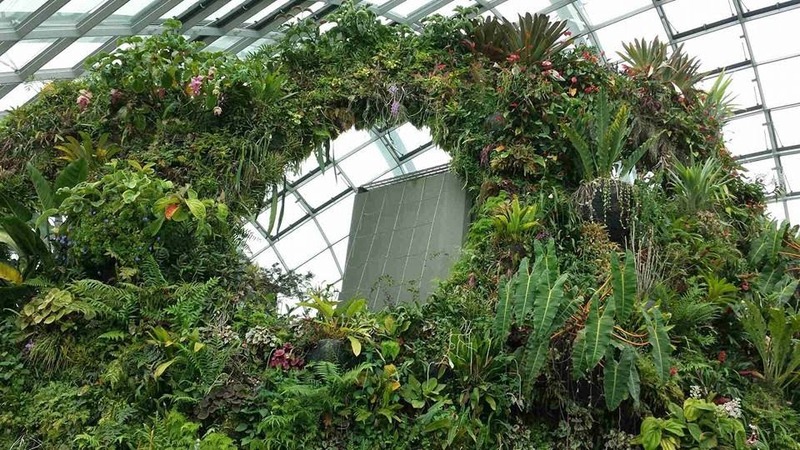 You can see the entire Marina Bay area on the other side while the other side features mountain like walls planted with different orchids, ferns, begonias and even carnivorous plants. A few levels down, you can see an amazing display of crystal formation. As of today, standard admission for the Cloud Forest is $28 for adults and $15 for children ages 3-12 years old. 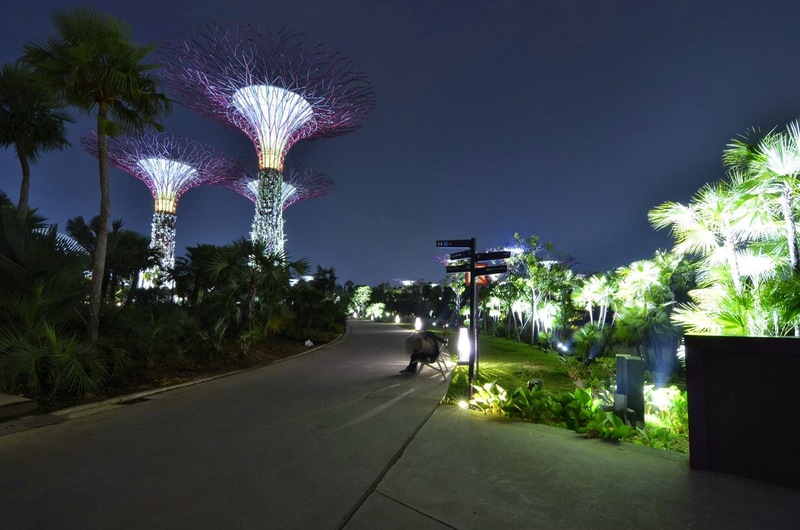 An entire breathtaking world of flora awaits you in the Gardens By the Bay! So if you have a green thumb or is a fanatic of flowers and nature, do not fail to visit this magnificent place while in Singapore.